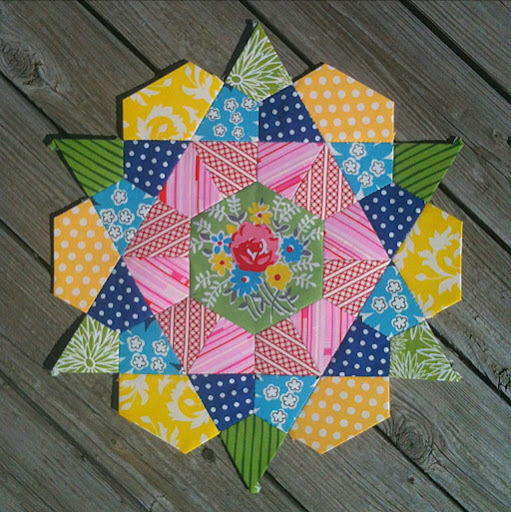 EPP–Rose Window Block | OccasionalPiece--Quilt! Posted on February 12, 2012 by Elizabeth E.
It’s all Krista’s fault. I’ve been seeing her English Paper Piecing for weeks now, and have really admired them. But hey folks, is there anyone else out there with too many unfinished projects? And should I even think about starting another one? 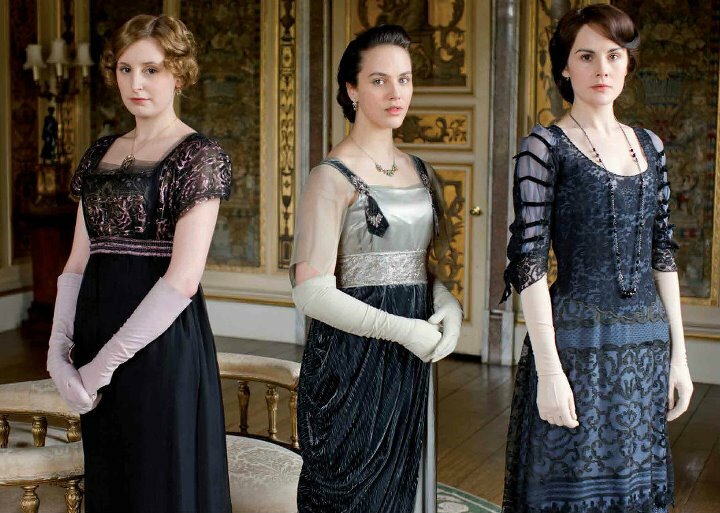 Here’s something else to blame: Downton Abbey. I justified trying this block because I missed having something in my hands to work on while I watched. And tonight is another episode, and so I jumped. Besides I am doing ENGLISH paper piecing, and these ladies’ lovely accents will cheer me on while I get all Britishy and such. Don’t you love their clothes? First I followed Krista’s advice and went to Clare’s site, SelfSewn, to read her tutorial. 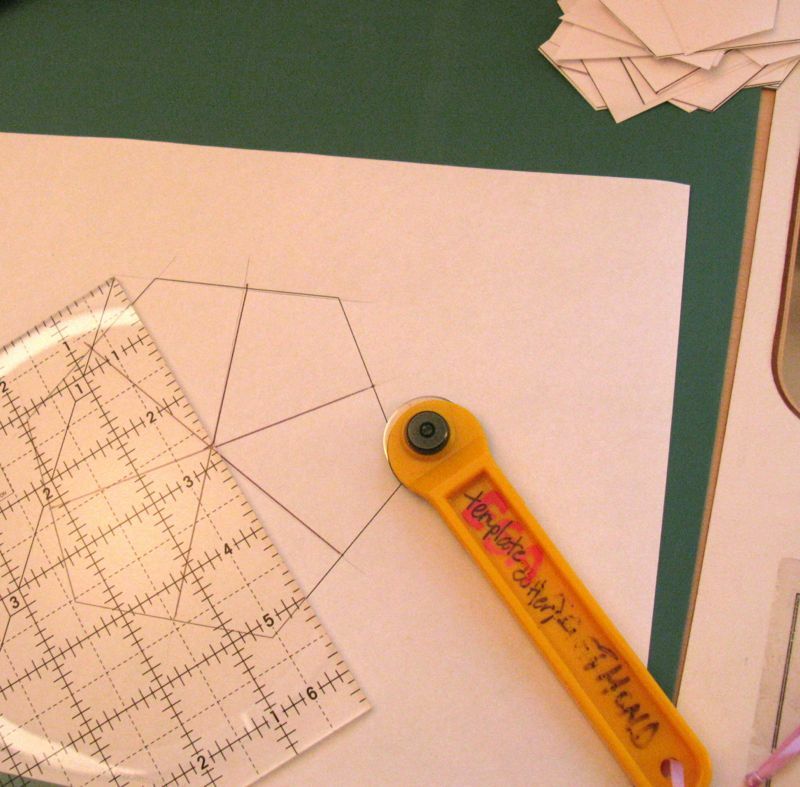 Then I went to a site *incompetech* that will print out whatever size hexagon you want. They tell you that whatever number you put in the size box, your hexagon will be twice that. I wanted a jumbo, so I put in 2.5, again remembering Krista’s experience that she was wanted a big rose block. I subdivided it, according to Clare’s instructions, then cut the pieces apart with my template ruler. And then, this wonderfully quiet Sunday afternoon, I pulled out a fat quarter pack from at least two seasons ago, figuring if I fussy-cut it to death, what would it matter? I was at least getting it out of the cupboard and using it, and besides, I loved this collection from Dena. Forgive the mediocre lighting and faulty Photoshop skills. All lined up. 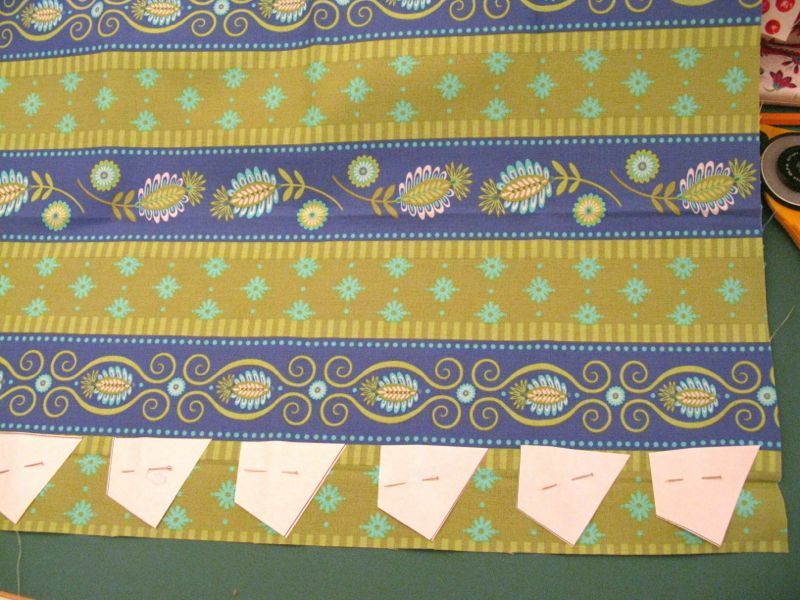 I cut them out, kind of free-handing it, and then realized that the pieces have to go on the BACKSIDE of the fabric. Better. 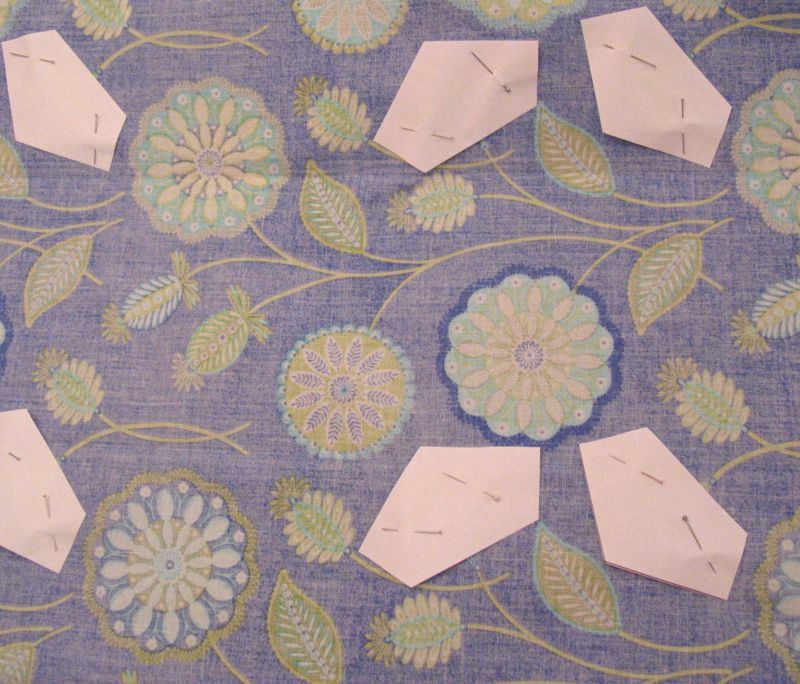 I got over the terror of making my fabric into swiss cheese when I was working on my Lollypop Tree. Which, by the way, I think about a lot and promise to get back to, but I have to completely destroy the studio, and when I’m in school, it’s too hard to clean it all up and get back to grading. It will keep until summer. 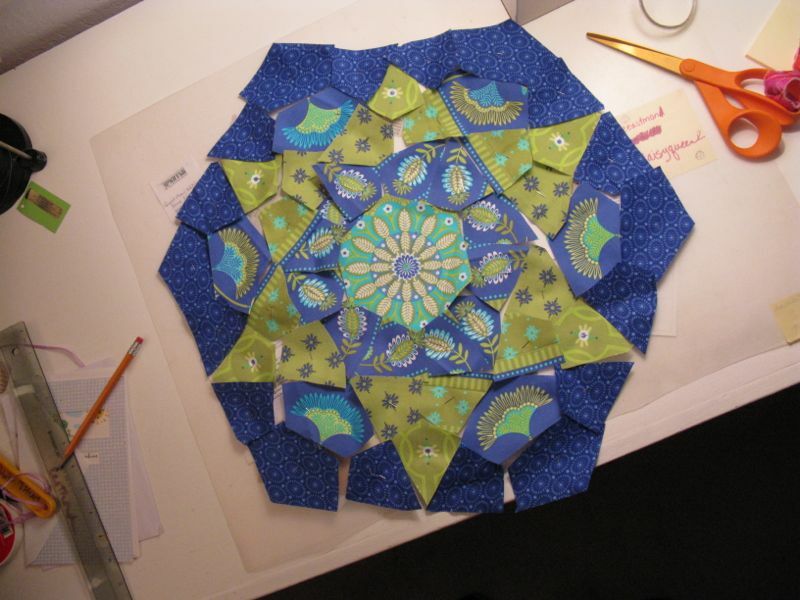 My Rose Window block all laid out. Now if I can just get this done in my lifetime. Krista assures me that I can. Now I’m all set for Downton Abbey! And here’s my inspiration. Thanks, Krista! oh I’m not very good at making swiss cheese from my fabrics – I love the effect when it’s done though – your block looks gorgeous….and i just read your previous post about the Masters book – I think it may have to come to Oz! It’s going to be wonderful! And thanks for the link to incompetech. Eek! I’m so stoked you caught the bug! Making Swiss cheese is hard… But so worth it for these blocks. 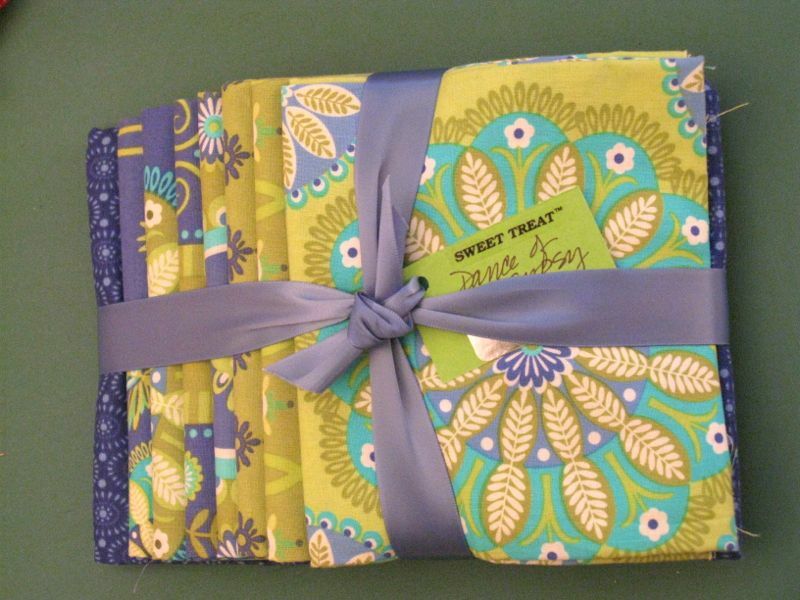 I love the fabric you chose, I’ve been having so much fun pulling from my stash and slashing away at it! Love it Elizabeth – how did the hand sewing go last night. Rhonda gave me the go ahead last week to put binding on a quilt that just had the outer two borders quilted. I wanted to watch the super bowl, but didn’t want to sit there with idle hands. I’ve since quilted the whole quilt and it turned out just fine. That block is very beautiful, it should be fun to finish.